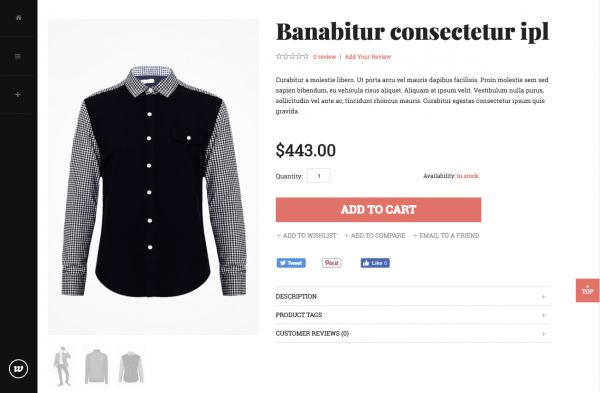 Product image optimization to boost your sales! If you’re about selling products online, which most likely is otherwise you wouldn’t be here, then you need to get your image game going strong. The world of online shopping is all about choosing items based on what you see. Hence, product representation via images is definitely a huge concern that you should consider. Not only does first impression always comes through physical appearance, it also represents your credibility as an e-commerce store. Studies show that product image quality is directly proportional to how shoppers rate an e-commerce store’s competency. And likely so, because nothing spells incompetence than your brand’s disability to carry out a dignified product representation. Products that are patronized by consumers for good reviews and a promise of comfort of good results are what we call user experience-driven products. Examples of which are clothing apparel, footwear, accessories, cosmetics, and other fashion items. The study reveals that small images of these items increase the attention span of your shoppers. As it turned out, small images engage longer visual engagement on the item. A possible reason behind this is the gestalt laws of grouping. This is a psychological principle suggesting that human visuals are more likely to be stimulated by perceiving patterns in items. Hence, with a relatively smaller image of a charmed bracelet, your customers are most likely to appreciate the pattern and overall design rather than the small details. 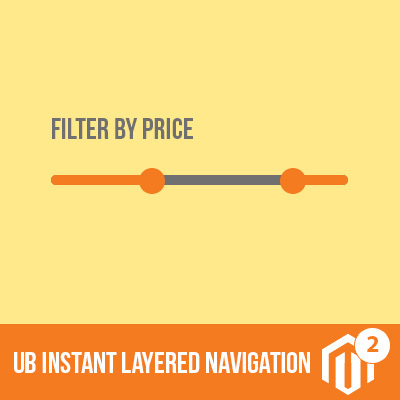 Also, with an ample amount of white spaces in between images in your gallery, your visitors may perceive a higher value on every item. Consider the following images below and note your personal observation. 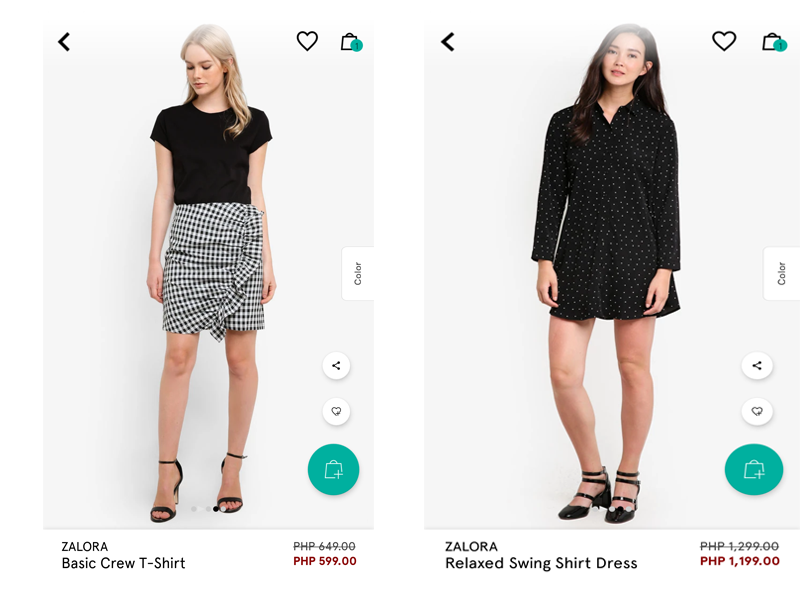 Here is great sample about gestalt laws from Zalora. The first pair of outfits are comfortably worn by models thus highlighting the overall design of the dresses. 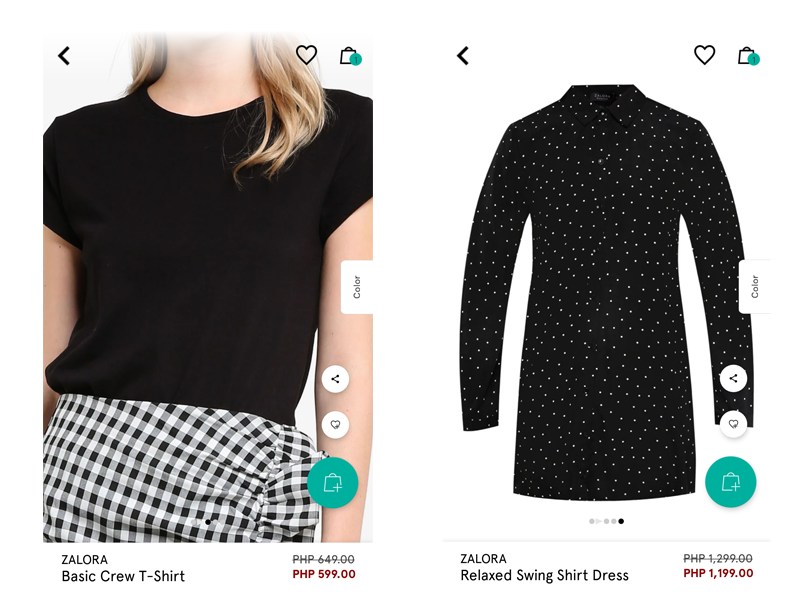 On the second pair, though with bigger images thus highlighting the smaller details, showing the entire outfit is what will ultimately get the shoppers to decide whether or not the items deserves to be purchased. While gestalt laws of grouping applies to all visual perception in general, products that are most likely patronized because of its features rather than the aesthetics are ought to be advertised with a larger image. Items such as smart phones, USB drive, speakers, and other technological gadgets do attract customers better when presented by larger images. Backed by the results of the same study, headphones and hard drives with larger images have longer visual engagement than the smaller photos. Since users base their purchase mainly on the product features, as soon as an item fits their demand of specifications, the very next consideration would be checking on the physical representation of the product. In this case, giving your customers a vicarious feel of the item can fuel their desire to actually own one. Compared to the watch display below, there is not a hint of doubt that this product image pales in comparison to the next one. The detailed blowup gives a feel of brand authenticity. What makes your visitors think your site is even legit? This is self explanatory. Don’t. Just don’t do this. Not only is it cringe-worthy. It also questions your ecommerce page’s credibility. 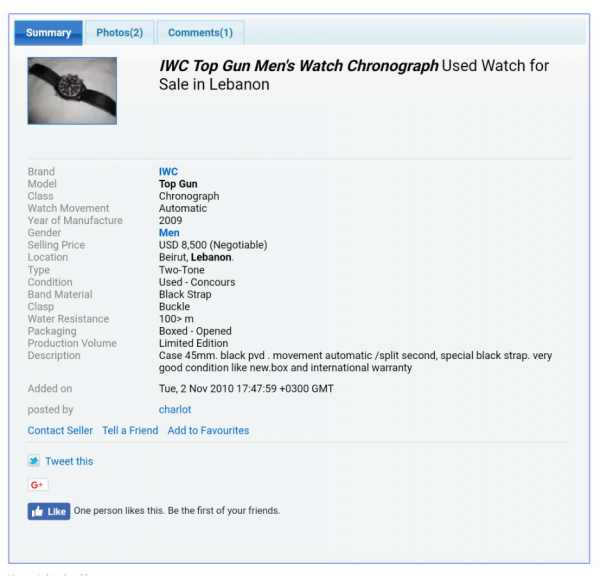 Like, if you cannot come up with a decent image for the watch you’re selling, what makes your visitors think your site is even legit? 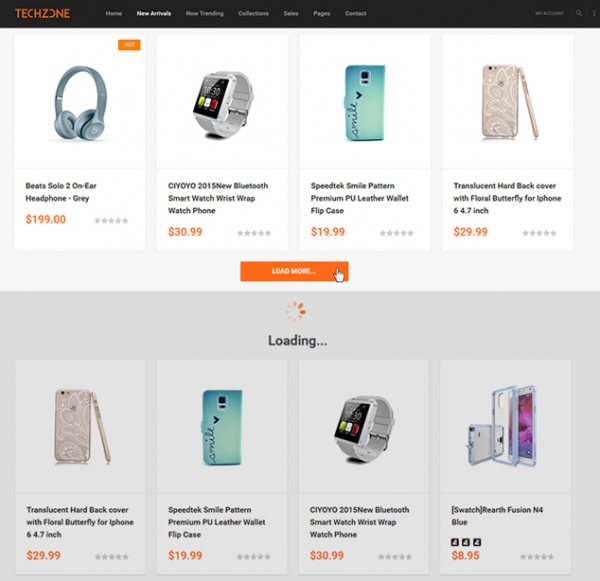 Tool for you: Prebuilt Magento themes helps to ease the product image optimisation and get your Magento store up and running faster and at a much lower cost than creating something nearly from scratch. A 12 megapixel camera produces images with approximately 4256 x 2832 pixels. For the sake of simplicity, let’s assume that your images will be 4000 x 3000 pixels. This gives you a 55 x 41 inches photo with 72 pixels per inch. (This is a standard for photography so do not fuzz over the jargon. We’ll get you to the point in no time.) Going back, 72 pixels per inch is an awful resolution or a 55 inch print. Obviously, sacrificing your image quality is a ridiculous compromise for fast quick loading. So what is the ideal resolution for your product images? The answer depends on your desired image size. After determining the appropriate size for your image representation, consider your customers’ media device – where they access your ecommerce store from. If you are running an ecommerce store on a website, your visitors are most likely accessing your page on a desktop or laptop. In this case, computer monitors display a maximum of 72 ppi (pixels per inch). So what is the minimal resolution that will look decent enough for your 72 ppi image? A usual website with the width of 700 -- 800 pixels is most likely to present a decent resolution image of 400 -- 500 pixels wide. This will look good on a website and perfect on a monitor. If you use a smartphone app for your ecommerce platform, you might also want to consider users with lower pixel width as they are most likely accessed on smaller screens like smartphones and tablets. For high quality images with lower resolution, try learning more about vector conversion services. Aside from your customers’ media device, let us also consider Magento’s image size recommendation. A 50 x 50 pixels “thumbnail” works for your thumbnail gallery, shopping cart, and item recommendations. 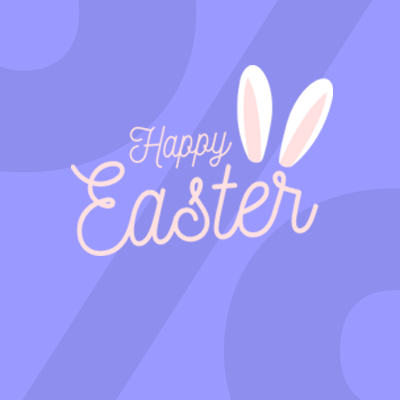 For “small image” sizes, 470 x 470 pixels works just fine for listings on category, search results, upsells, cross sells, and new product sections. As for your main product image (also to referred as the base image), 460 x 470 pixels is the safe choice for non-zoom size and 1100 x 1100 pixels is recommended for images with zoom feature. 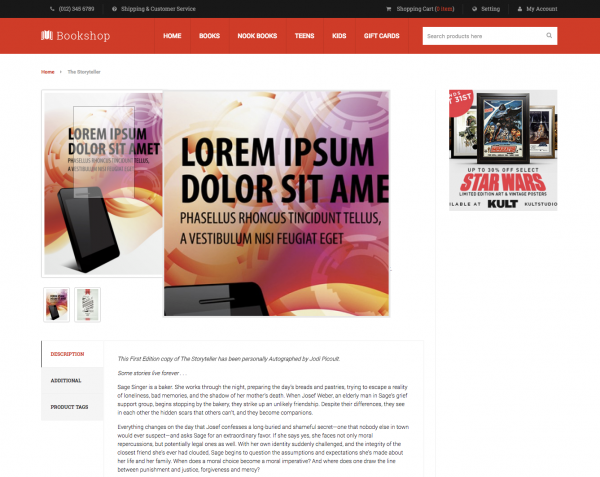 Tool for you: Techzone, a multi-purpose theme for Magento with 6 layouts built in. From the extra wide screen solution to the limited space screen you have on your mobile, Techzone still excelled at display. Give your visitors a detailed look at the products. However, there are a few caveats you have to consider when applying the zoom feature. Do not try to reinvent the zoom icon. Being unique doesn’t do you much good when it comes to applying common functionable icons. This includes your zoom icon. Make sure your zoom feature is easy to find and user-friendly. Do not reload images to be zoomed. Frustrating your visitors by reloading the same image they want to zoom in (and ending up zoom in to a pixelated image) is a sure way to boost your bounce rate. Do not sacrifice loading time for needless high quality zooming. Zooming to an insane resolution is definitely a good thing. But is it really worth the risk of bounce rates when your visitors find themselves stuck in an unresponsive slow loading page? Again, remember that for most devices, loading speed is directly proportional to the image resolution. So while you do your best to boost image zooming quality, never sacrifice your page’s fast loading speed. Cloud zooming -- Use with care. This is when you hover your mouse over an image and the portion of that image zooms in a separate small window. It might be annoying or confusing to have your mouse tracker on one side of the page and then look at the blow up image on the other side. This zooming feature from Net-a-porter is definitely not that bad. But as a user, setting your eyes on the zoomed images on the right side while tracking your cursor on the left can be pretty confusing. Here is an interesting fact about consumer psychology: simply touching an object can create a perception of ownership to the consumers. Since ecommerce cannot make it possible, an effective solution to mimic this approach is by allowing your visitors to virtually have a feel of the entire product. 360 degree view feature allows for such option. Sure, you don’t exactly get the “real” sense of touch but to a degree, it gives your visitors a sense of control and a first-hand experience which wets the appetite of your interested buyers. Integrating a responsive 360-degree rotation of items can increase your conversions over a standard two-dimensional image. Caveat: Avoid clutter. There is always such thing as too much and it is definitely not a good way to promote your products. Providing too many images than what is necessary is not just overwhelming to your website visitors but also jades your prospect customers away from checking in the product. Remember: Pinterest is the ecommerce sites’ best friend. Here’s the thing. You need to maximize the scope of your product advertisement to get the most out of your products promotions. And is there any better way to do this than to allow your visitors to pin your items? Study shows that buyable products found on Pinterest increases sales by 328%. Now that’s a sure-fire way to optimize your social media channel and boost your conversions! So don’t forget to add that button for pinning option RIGHT NOW! And while you’re at it, it doesn’t hurt to maximize your scope on social media by including Facebook shares and tweet option icons. Notice that sleek share option below the Add To Cart button. Just a click away to share the item in all of your visitor’s social networking accounts. Tool for you: Most Magento themes give you a variety of options to customize social icons, and other variables like colors, fonts, layouts etc, This provides a lot of flexibility and control to any Magento site. One of my most comedic experiences in online shopping few years back has something to do with this. I ordered an office chair for an incredibly low price of 10$ thinking I stumbled upon a great deal. Upon delivery, I was dumbfounded to discover that the office chair I bought was, in fact, a carefully crafted, miniature office chair designed, cellphone-holder! Joke was on me. No person in his sane mind would probably believe such an ergonomic office chair be sold for 10$. But seriously, had I not ended up working for an ecommerce company years after, my trauma on online shopping would still be on until now. Moral of the story? Make sure to put your images in context, especially for items with no universally accepted standard measurement. How do we do this exactly? Simply add complementary objects around your product image for proportion. It’s not that hard, really. Plus, doing your visitors the favor of allowing them to properly assess your items creates a good user experience which will most likely create returning visitors for your ecommerce site. 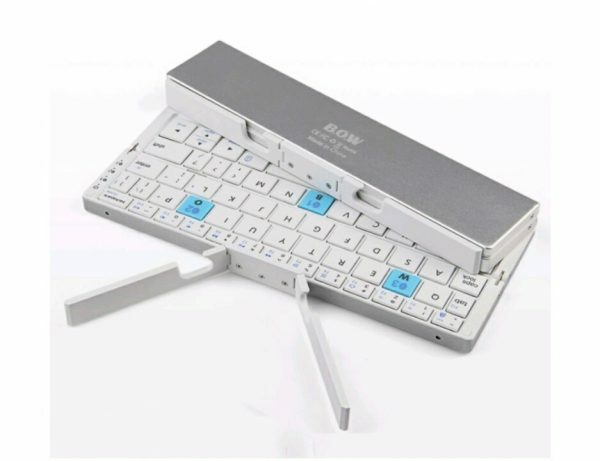 Above is an image of a bluetooth wireless smartphone keyboard. But without an item description, a number of your shoppers may not even know what this thing is for. For a better product representation, it pays to show an image of your ergonomically designed item. See how a smartphone comfortably fits right in. 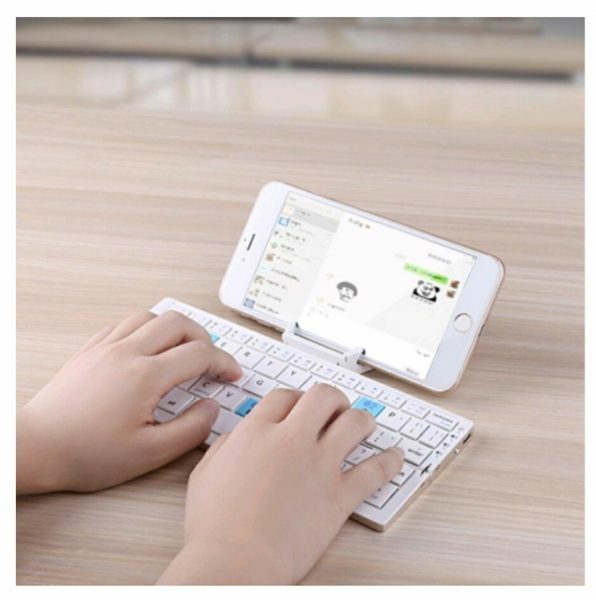 Also, adding an image of hands using the keyboard shows that the keys are in proper proportion to your shopper’s fingers, thus proving comfort in typing. They say beauty is only skin deep. This doesn’t hold true for ecommerce. Visual representation is essentially the life of your conversions. Hence, giving your customers the best product image does not only spell good user experience for your Magento store visitors. Ultimately, this leads to consumers’ deciding factor whether to push through the checkout process or head off to another website with better product images. Do not let the latter happen to you. Remember, in ecommerce, beauty runs deep. If you have other effective ideas to boost your ecommerce conversions with product imaging, please hit the comment section below and show us what you’ve got! Images are a must-have for every article, blog, and marketing site. It is imperative to have the highest quality photographs to showcase your products. Springbord’s product image optimization provides a complete range of image manipulation, processing, enhancement and editing services that is detail-oriented, quick and comes at an optimized cost.